On June 13th, 2018 CodeMonkey proudly accepted the SIIA CODiE Award for Best Coding and Computational Thinking Solution. The process for applying to the CODiE Awards was several months long and started in early January, 2018. Prior to the application process, CodeMonkey decided which of its courses best applied to each SIIA Codie category and from there, most of the process consisted of demoing different CodeMonkey courses to several judges. 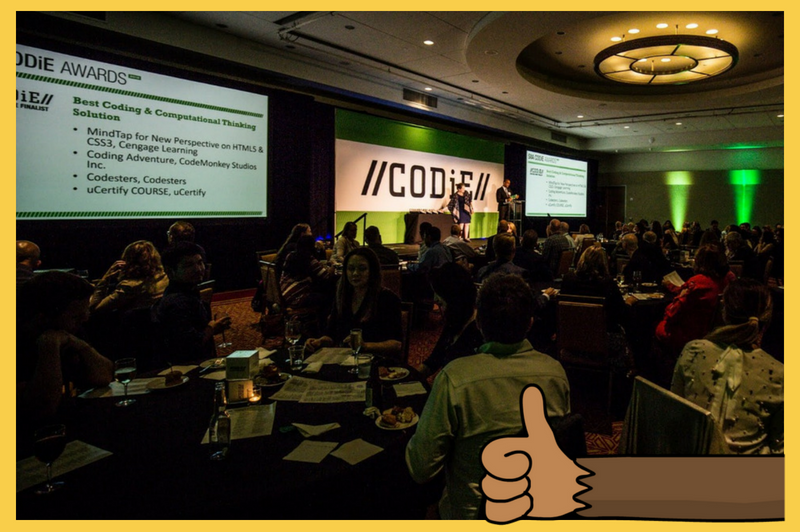 The Codie Awards benefited CodeMonkey greatly. The strict deadlines offered a much-needed push towards creating demos for all of CodeMonkey’s courses in a way that thoroughly showcased their unique features. This was achieved through using the Awards’ guide for what the judges were looking for during the demos. Since SIIA CODiE judges are educators or professionals in the EdTech field, this guide provided CodeMonkey with a fresh perspective on what the majority of its end users are looking for. The Awards were also a perfect opportunity to familiarize with other products in the EdTech community. 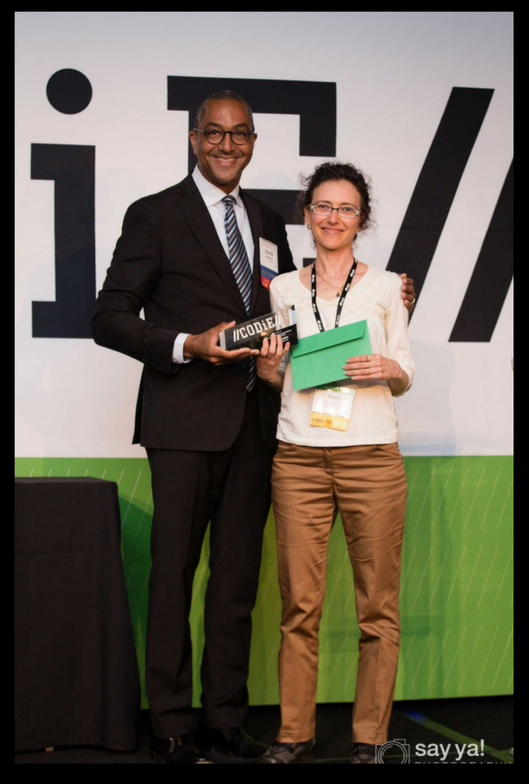 According to SIIA, the Best Coding & Computational Thinking Solution Award recognizes the best educational solution or platform that teaches students coding and computational skills, logic, problem solving, computer science, and algorithmic thinking. Besides coding courses, the category can include language platforms and robotics. The chosen solution allows students to think creatively, reason systematically, work collaboratively and share their creations with others. CodeMonkey is a game-based learning environment where children learn to code in real programming languages. Ever since CodeMonkey’s founders started to code in the 1990’s, they knew how powerful code literacy can be for a child’s future. CodeMonkey was founded in 2014 based on one of the founder’s successful experiences in teaching young children to code through playful activities. CodeMonkey has delivered computer programming education to over 8 million users worldwide.